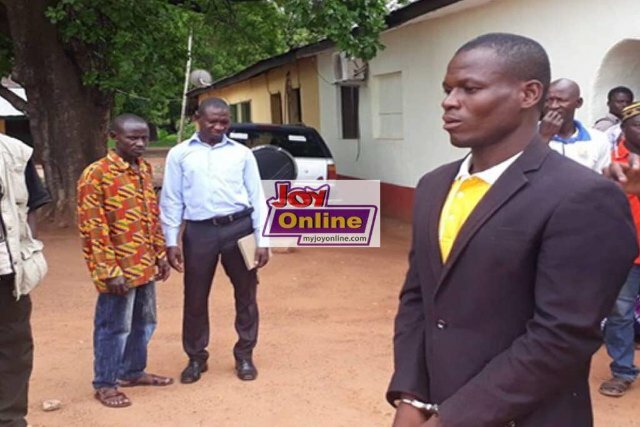 A Wa Circuit Court has sentenced a former headteacher of Ping Basic School in the Sisala-East Municipality of the Upper West Region, to 10 years imprisonment for defiling his 10-year-old pupil. Wiayugah Mumuni, 34, was found guilty after a judge in a year-long trial, convicted him. Joy News’ Rafiq Salam reported Monday that Mr Mumuni insisted on his innocence even after the judge read his sentence. “He raised his hand after the judgement was read…and he said: I am not guilty and I do not deserve this ten-year sentence handed down to me,” Rafiq reported from the court. Mr Mumuni is reported to have called some six persons as witnesses during the course of the trial but their testimony couldn’t overturn that of the four witnesses called by the prosecution. Mumuni reportedly sent for the victim after school hours. When she arrived in the company of her younger sister, he sent the younger girl away and defiled her, after which he gave her GH¢20 and asked her to stay silent. The victim, however, reported her ordeal to a female teacher who reported the matter to the policeleading to the arrest of the headteacher. Consequently, Mr Mumuni was transferred from the school to Tumu Unity Basic Primary. Rafiq reports that Mr Mumuni was in a sober and remorseful mood while judgement was being read. He is expected to serve 10 years imprisonment with hard labour. May 29, 2018 in Local News. ← Wa: ADB customers Stranded; Can’t Withdraw their Money.